Two Way Radios Reviews - Which Ones Are Best? Highland Wireless: Providing In-Building Distributed Antenna Systems (DAS) > Blog > Blog > Two Way Radios Reviews – Which Ones Are Best? Two Way Radios Reviews – Which Ones Are Best? There are different reasons you might want to use a two-way radio, for either personal or business use. 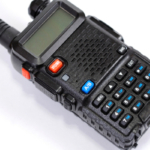 Depending on your needs the best two-way radio option for you will differ. 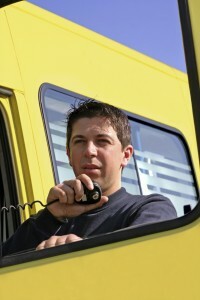 There are a few things to look for when deciding which two-way radio system to go with. 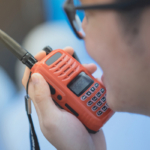 Here we detail some key features to look out for in order to help determine the best two-way radio for your needs. Clear communication: Can people hear one another well enough to sufficiently communicate? Avoid radios that come with static and poor connections, you don’t need to deal with the hassle when you can get a radio with a crystal-clear signal. Easy-to-Use: The controls on the radio should be easy for anyone to use, even if they are partially distracted, wearing gloves, or in a dark location. Hands-free usage: Some radios come with talk-to-use features that allow for hands free communication. Strong battery life: The battery on a radio device should be able to last all day and then some. Different radios offer different types of batteries, some come with built-in rechargeable batteries, and others rely on alkaline batteries. It’s important to find out what type of battery a radio uses and its expected life. How long do you plan to use radios without charging? This answer varies considerably by business and may ultimately impact the best radio for you. Warranty or service package: Radios that come with a warranty or service package can help make life far less stressful if problems arise down the road. Transmission range: Different radios are capable of providing service over a different area range. Know exactly what transmission range you require before purchasing a radio system in order to ensure it is powerful enough to serve your needs. Waterproof radios: Will you be using radios in wet conditions? If so, be sure and purchase a 2-way radio that is waterproof. Why do some two-way radios get better reviews than others? Let’s take a look at two different radios with excellent reviews to find out what makes certain radios stand out over others. Knowing what makes people love their new radio can help you better identify which features are of utmost importance to you. 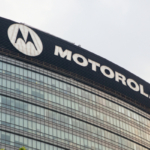 Editor ratings for the Motorola XPR-7550 are above average. This popular model comes complete with a multicolor LCD display, GPS, and more. So why does this model get such great reviews? Audio quality, the speaker on this radio offers clear, static-free communication that is even described as enjoyable to listen to. Plus, with a variety of volumes you can be sure to hear this radio even in a very loud environment. Easy and comfortable to use, thanks to the compact nature of this radio it is very comfortable to hold in your hand while in use. The buttons on this phone are also conveniently placed and simple. The device includes 2 different knobs, one for power and one to select the correct operating channel. This Motorola also comes with a backlit keyboard for easy typing, even in the dark. LCD color display screen causes this radio to stand out next to others. Durable and long lasting, this radio is built to stand up to wear and tear, and is known to outlast many other similarly priced radios. This radio is actually built to withstand exposure to a little over 3-feet of water for as long as 30 minutes. Added features such as GPS give this radio even more bonus points. Businesses are able to utilize a number of different tasks thanks to added features, such as being able to track employee locations for enhanced safety and efficiency. The Kenwood TK-3230 also gets great customer reviews due to a number of standout features. Lightweight and easy to use, The TK-3230 radio is much smaller than some of the other radio options on the market. Despite being compact and easy to carry around, the TK-3230 is still durable thanks to its polycarbonate shell and carefully crafted design. Very reliable, Businesses continually mention how much they can depend on this radio to always work, and without any issues related to static. High tech security, The TK-3230 comes with a Privacy Talk feature that scrambles voice messages so that no one can listen in on your conversations. Long Battery Life, The automatic battery saving mode this radio comes with means it will last longer before needing a charge. 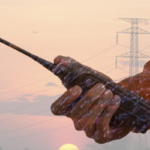 Highland Wireless offers the top rated two-way radios on the market. Browse our vast selection to find the right radio for your particular needs.